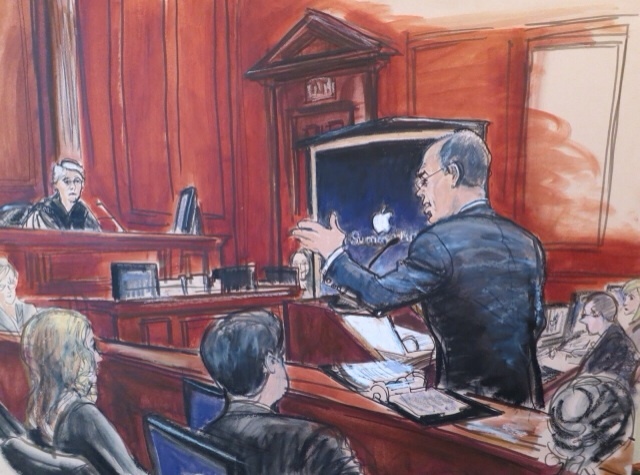 The WSJ has published an article blasting the judge in Apple's e-books case, calling her a 'disgrace to the judiciary'. Judge Denise Cote has already been accused of ruling before hearing the evidence after she pre-declared a "tentative view" that Apple was an antitrust violator before trial. According to the report, after convicting the iPad of being a conspiracy to increase digital book prices, she appointed her friend Michael Bromwich as an external monitor to review antitrust at Apple. Bromwich allegedly took his role too far, demanding proprietary documents well beyond his mandate and bypassed Apple's in-house counsel by contacting board members and executives directly to order them to meet with him without a lawyer present. The WSJ notes that the situation worsened when before Thanksgiving, out of the blue, Judge cote proposed to amend her injunction to grant Bromwich greater powers and to have him present monthly reports on what he finds, without Apple present. Bromwich also told Apple that he didn't need to wait for Apple's January deadline to overhaul its antitrust compliance and training procedures since Cote privately instructed him to get off to a "fast start". The "judicial duty" under the Constitution's Article III vests judges with the power to resolve "cases and controversies." Prosecutors enforce laws, conduct investigations and uncover evidence. Judges aren't supposed to appoint their own agents to annex such activities reserved for the executive branch. Mr. Bromwich has rewritten his job description to investigate Apple all over again, not simply monitor if Apple is abiding by the terms of the court judgment while it appeals the case. Apple has now filed a formal objection to Bromwich's investigation and fees. "The unilateral investigation the Court has empowered Mr. Bromwich to undertake," writes Apple, "is not a judicial function, and therefore cannot be delegated by the Court. The injunction, particularly as the Court proposes to amend it and in light of how Mr. Bromwich interprets his authority ... vests the monitor with wide-ranging, intrusive, and excessive inquisitorial powers of a sort reserved to prosecutors." In response to Apple's objections, Cote said she would drop plans to meet with Bromwich but told Apple that it would need to take its complaints to the Justice Department and the State Attorneys General first. Apple is appealing the case to The Second Circuit which should remove Cote from the case.